Another Fun Stampin’ Up! Party! It was such fun to introduce new people to the wonderful Stampin’ Up! products, show off how they coordinate, and how easy they are to use. In fact, one of the guests already has her party booked for next month! We spent lots of time hands-on creating; because that’s the most fun, right?! Even when we were finished out projects, the guests were trying out different embossing folders, framelits and dies; Lynn brought out lots of her own stash to add to the fun! How fun is this?! 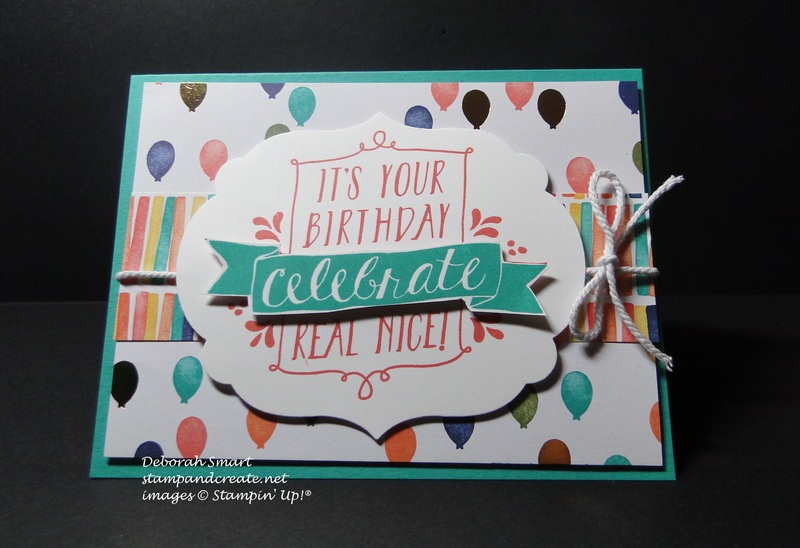 We started by layering a strip of one design from the Birthday Bash Specialty Designer Series Paper onto the balloon image from the same DSP, and tying a piece of Thick Baker’s Twine in Whisper White around it. Then using the Labels Framelits cut a piece of Whisper White cardstock, and stamped the sentiment from the Balloon Bash stamp set in Calypso Coral. We then re-inked the stamp in Bermuda Bay, stamped it again, then hand-cut just the word ‘celebrate’ and layered it over the first stamped sentiment, popping it up with Stampin’ Dimensionals. A very cute card, that anyone would love to receive on their birthday! Since the guests were already familiar with stamping, I thought I’d show them that Stampin’ Up! isn’t just about stamping – it’s about creating 3D as well. 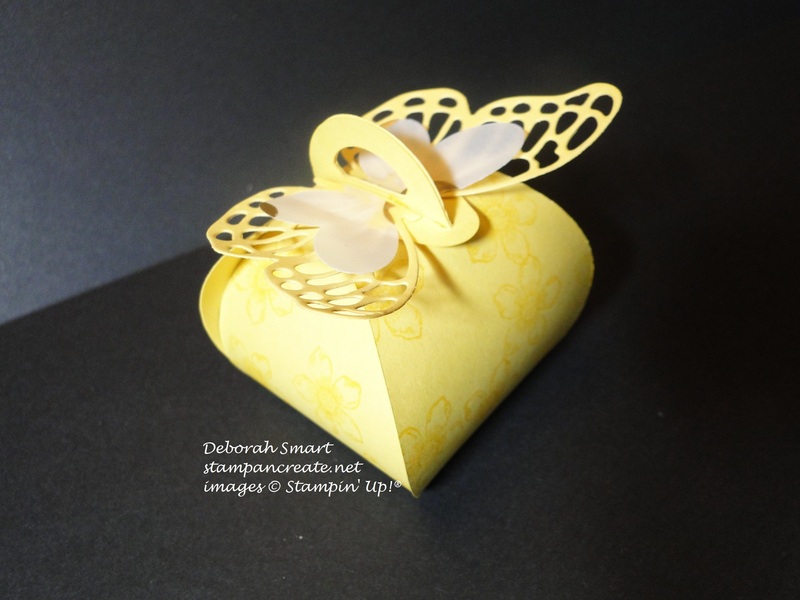 We used the Curvy Keepsake Box die, plus the Butterfly Thinlits to create this lovely gift box. After die cutting the box from Daffodil Delight cardstock using the Big Shot, we used the Petite Petals stamp set and Daffodil Delight ink to stamp flowers all over the box pieces. We then assembled the box. The large butterfly is die cut from Daffodil Delight cardstock, and layered with the small butterfly, die cut from the Fancy Foil Vellum in Gold. The Butterfly Thinlits are perfect for this! After gluing the 2 butterflies together, we then snipped them in half, down the middle, then attached each 1/2 on each side of the handle of the Curvy Keepsake Box. This way – the box can be opened, and the butterflies stay intact! We had lots of fun (and Lynn provided some yummy treats & lemonade, too! ), the guests were happy with their prizes, and Lynn of course received a special Hostess Gift from me! I’m looking forward to her guest’s party next month. 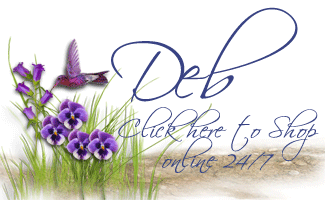 Previous Previous post: Sprinkles of Life – another Sneak Peek!